KUMHO TIRE'S "ROAD TO THE NBA FINALS"
Discover how Kumho Tire activated its NBA sponsorship and increased brand awareness with a simple contest. 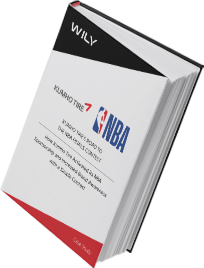 Learn how WILY helped activate Kumho Tire’s sponsorship of the NBA while increasing brand recognition and awareness amongst a younger demographic. See how the contest led participants to Kumho’s website and social media pages to learn about the brand and upcoming spring promos in time for tire changeover season.